Injectable treatments have ballooned in popularity over the past decade, whether you’re based in Nottingham or the rest of the UK. Non-invasive facial procedures, in particular, like Botox and dermal fillers have become a popular choice in recent decades, in part because of the speed of administering them and their quick results. Botox and dermal fillers account for nine out of 10 of all cosmetic procedures performed in the UK, in an industry which is set to be worth £900 million in the UK by 2019. This is cosmetic surgery at its most convenient. Now is a fruitful time to join the ranks of the cosmetic industry. As practices across the UK continue to grow, the need for highly skilled practitioners is on the rise. Healthcare professionals like doctors, nurses, dentists and pharmacists are prime candidates for this exciting and lucrative industry – and MATA’s in-depth training courses can help you. MATA’s Harley Street Botox training is now available in Nottingham. It’s a course that’s won several awards since being established, and its founders continue to explore the pioneers of facial aesthetics to ensure its students receive the finest education. MATA offer Botox training at varying levels from a foundation course to our Postgraduate Diploma qualification, and provides extensive, intricate, fun and informative educational tools that value flexibility and hands-on experience. Sign up and you’ll have over 600 hours of online tools at your disposal, with videos, webinars, quizzes, lectures and discussion boards available 24 hours a day via our Virtual Learning Environment (VLE). What’s more, the provision of real-life models, face-to-face seminars and training days will allow you to put theory into practice and leave our training modules feeling confident and well-informed. MATA training goes further than just meeting basic regulations – our industry-recognised Botox training meets and exceeds requirements set out in the HEE 2016 Guidelines. 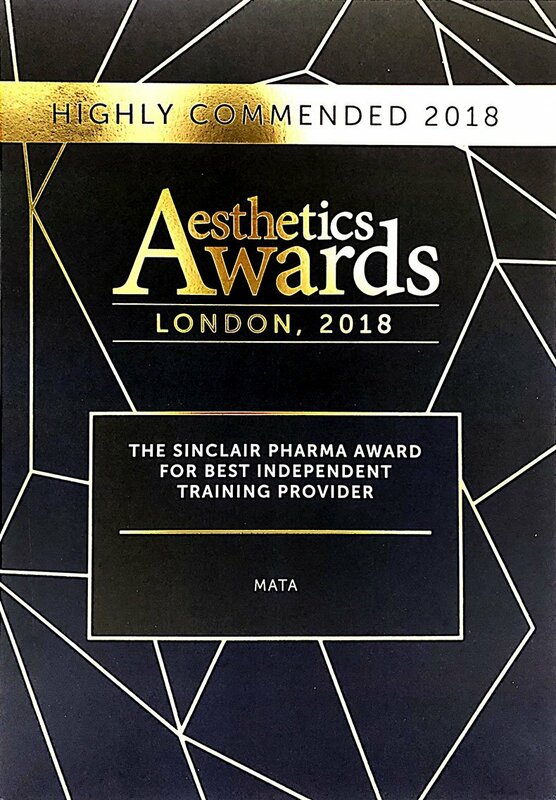 MATA has been an advocate for tighter regulations in the facial aesthetics industry and, as the Keogh Report has shown, regulatory standards are catching up with the demands of the market. With MATA, the focus of your education isn’t on practice for its own sake. It’s about creating a high-quality environment that will meet safety standards for the future, satisfying the needs of you and your clients. Our qualifications, including our Postgraduate Diploma in Facial Aesthetics ( Botox and dermal filler qualification), are quality assured and recognised by regulatory bodies. 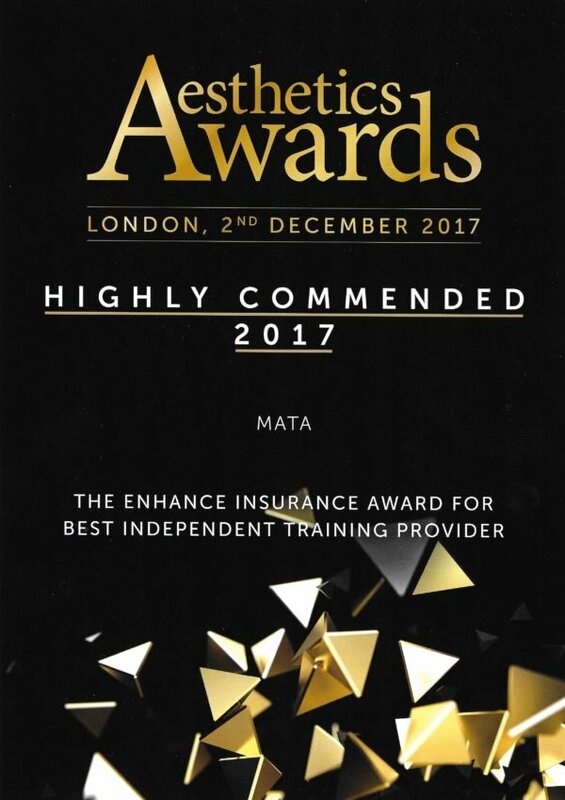 Upon completion of a MATA training course or qualification, a certificate which is recognised by all of the main insurance bodies is received. MATA provide our Nottingham delegates with everything they need to get on their feet in the aesthetics world including advice on setting up a private clinic. The professionals training you are well-known and well-regarded in the industry, and have extensive experience running clinics of their own. You’ll have the chance to meet them on special training days, where they’ll answer your questions, attend seminars and watch practical demonstrations on live models. This is the chance to see a Botox treatment up close – and it’s an experience offered by few of our competitors. Who are MATA’s Courses and Qualifications for? MATA was founded with a goal to improve the existing standards in the aesthetics industry. Because of this we only offer our Botox and Dermal Fillers courses and Level 7 Botox and dermal filler training to fully-qualified medical and healthcare professionals. If you believe you may be suitable but do not see your profession listed please feel free to enquire via our contact form. Beauty therapists and other unqualified professionals are unable to attend MATA’s injectable training courses. MATA offers two different levels of Botox courses in Nottingham – foundation and advanced. Our foundation and advanced training can both be built towards our Postgraduate Diploma qualification in Botox and dermal fillers. Levels can be studied individually and counted as credits towards the full Postgraduate qualification. Delegates will typically study our Botox courses alongside dermal filler training on one of our Foundation Botox and Dermal Fillers Training Weekends. Should Botox or dermal fillers be used to treat the area? To wrap up the foundation weekend delegates are given an overview of the possible next steps and a brief introduction to MATA’s advanced level Botox and dermal Fillers training. The foundation and advanced levels count towards our UK Level 7 Botox Qualification, An industry recognised qualification. If you’re attending Nottingham for a MATA course, you may also want to take in the sights and sounds of the city – and it’s a location that doesn’t disappoint. Well-known for its association with the stories of Robin Hood, this central-Midlands city is home to astounding architecture, delicious restaurants, fascinating cultural artefacts and a huge number of shopping outlets. Our day-courses will give you plenty of time in the evening to explore Nottingham’s tourist sights – so book a weekend if you want to really appreciate the city.